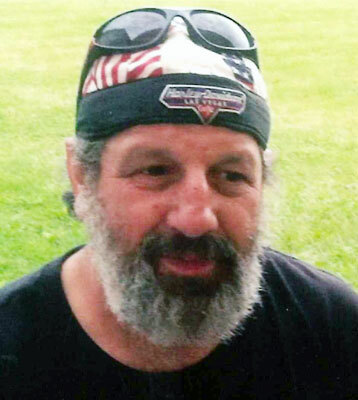 NORTH JACKSON – Tony K. Coudriet, 56, passed away after a brief battle with cancer on Feb. 10, 2014. He was born in Youngstown, to the late Lloyd Coudriet and Virgie Whittenberger. Tony was a graduate of Western Reserve High School and remained in his family’s farm house all of his life. He worked as a welder at E & L Machine and Welding for over 15 years. Tony had many passions, riding his Harley Davidson Road King, his dogs, Rudy, Bella, and Daisy, and going to the “hang out” at Shillings Mill Tavern, but his true love and passion in life was his family, especially his grandkids. Left to celebrate Tony’s memories is his fiancé, Carol Joki; his three daughters, Nicki (Edmund) Mitchell, Stacy (Nick) Pringle, and Michelle (Benten Jenkins) Coudriet; his grandchildren, Sidney and Brandon Lazar, Ethan Mitchell, Valerie Stape, and Leland, Seth, and Brantley Pringle; and his sisters, Joyce Hamner, Mary Hamner, Betty Deal, and Jeannie Neff. Tony was preceded in death by his wife, Kimberly (Moorhead) Coudriet; his sister, Elizabeth Bastion; and his brothers, Lloyd Jr. and James Coudriet. The family will receive friends from 4 to 8 p.m. on Wednesday, Feb. 12, at the Lane Family Funeral Homes, Austintown Chapel, where a funeral service will take place on Thursday, Feb. 13, at 11 a.m.
Interment to follow at Green Haven Memorial Gardens. In lieu of flowers, contributions may be made in Tony’s memory to the American Cancer Society, www.cancer.org. Please share your memories of Tony.